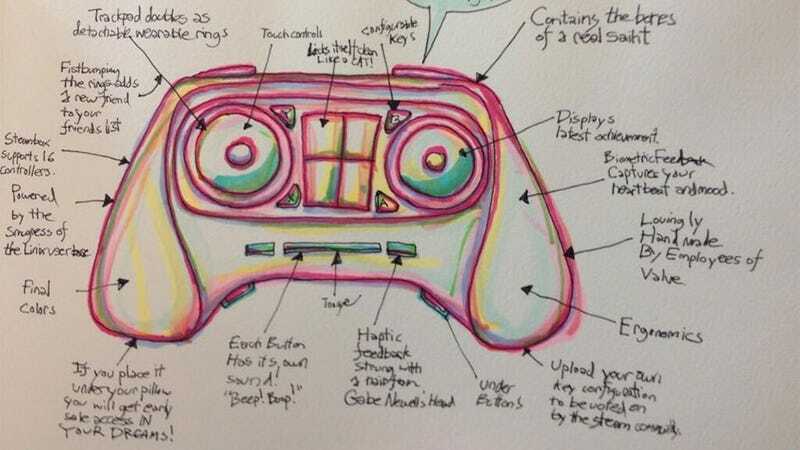 The Perfect Steam Controller Can "Lick Itself Clean Like A Cat"
There's a big developer's conference going on at Valve right now. No press invited, though, which means any and all news is being smuggled out via Twitter. Or scrawled down on paper. Or both. The actual finished controller can only be a let-down after this. I mean, it's nice the DualShock 4 has tiny Italian art inside, but the bones of an actual saint are pretty hard to top.